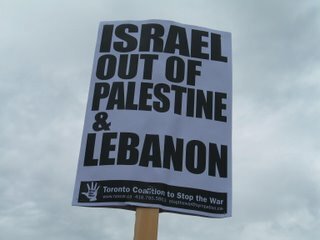 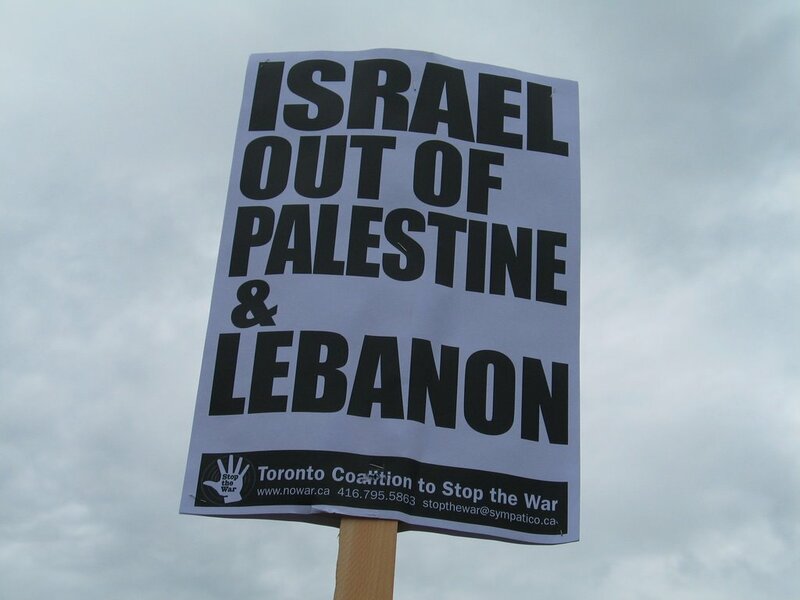 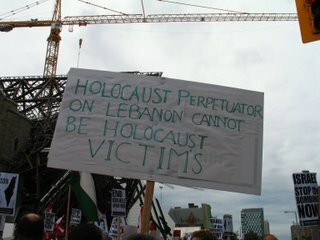 Chris and I attended a "get-the-hell-out-of Palestine-and-Lebanon" rally last Saturday. 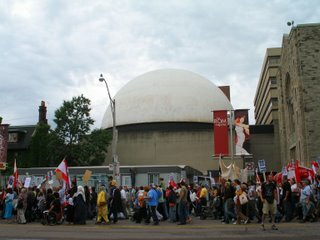 I was surprised at the turn-out, which, I hear, numbered about 10,000 people! 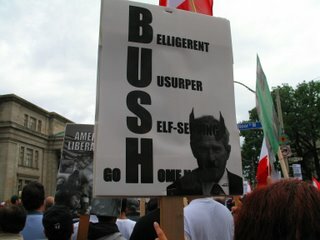 This is the first in a two post series of pics of the rally. 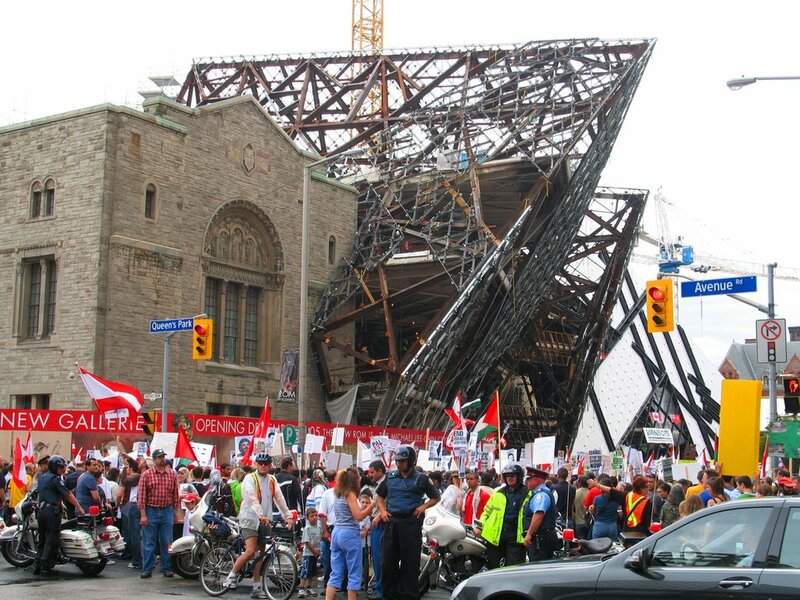 To me this is a quintessential Toronto picture: activism (the rally) alongside culture (the ROM). Some signs didn't exactly make grammatical sense, but its the thought that counts! This one is of the crowd in front of the ROM construction.